If you are looking for a top of the range 2 berth tourer which is easy to tow and live with, and is packed full of luxury equipment including programmable heating, this is the caravan for you. This spacious 2 berth Bailey Unicorn Seville from 2013 is in superb condition throughout. 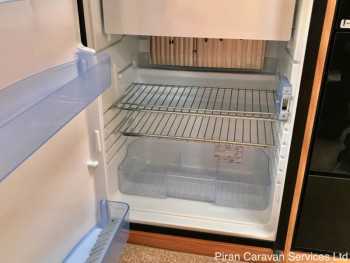 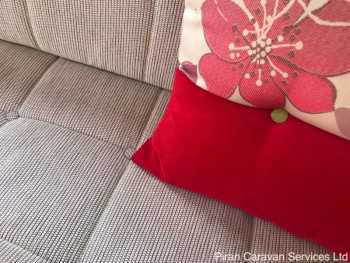 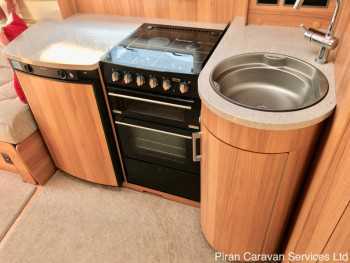 It's a well-cared for example and which has had only very light use - no pets or children inside the caravan. 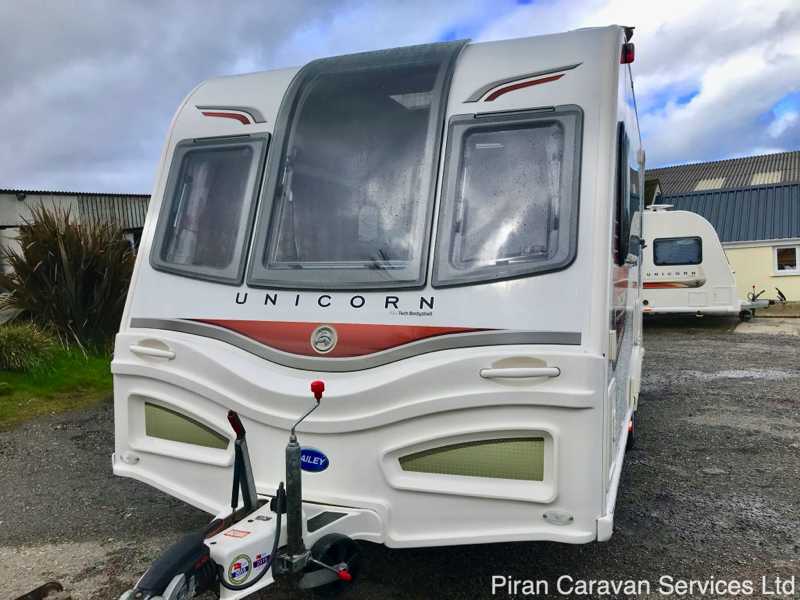 It has been valeted by us and has just flown through a full service and damp check by an independent specialist Approved Workshop and is ready to hitch up and take away. This stunning caravan comes with a documents pack containing all the handbooks and instruction manuals. The Seville has a very popular layout with a spacious lounge which can be converted into 2 single berths or a large 'pull out' double in the front of the caravan, the kitchen in the midsection of the caravan and in the rear of the caravan there is a very spacious bathroom with toilet, sink, vanity unit and large separate shower cubicle as well as ample storage. 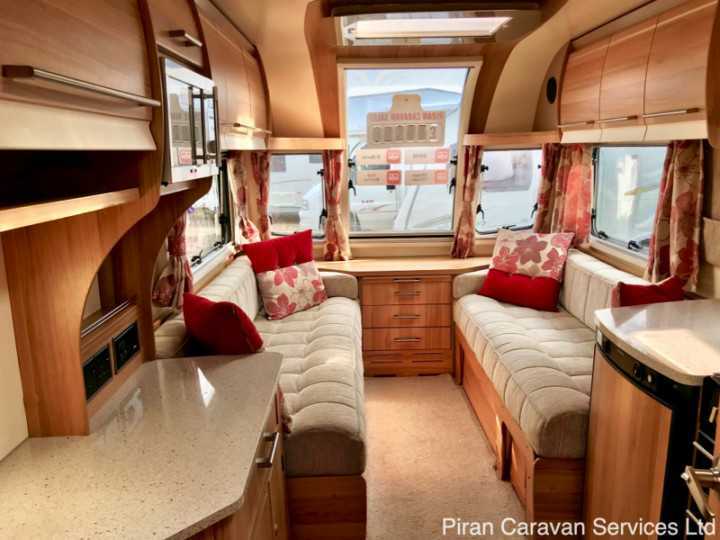 It will suit a couple looking for a flagship 2 berth touring caravan, with luxury appeal! Bailey proudly described the Unicorn as "setting the standard for a premium product range by providing the very best in touring caravan design" and the S2 Seville clearly fits this bold statement well. 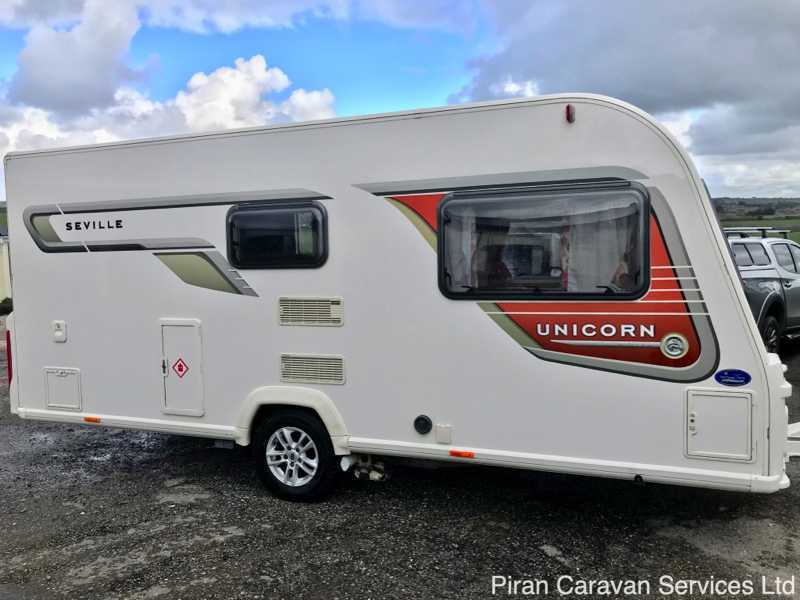 Built on an Al-Ko galvanised chassis featuring the ATC Trailer Control System, Al-Ko 3004 stabiliser, shock absorbers and wind down floor mounted spare wheel carrier, the Unicorn range packs all the most modern towing and safety improvements into the running gear. 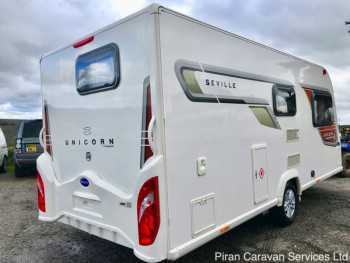 In terms of construction, the Unicorn features Bailey's Alu-Tech fully laminated five part body shelf assembly, housed in a structural, interlocking aluminium framework, including single sheet impact resistant GRP outer skins and bumpers. 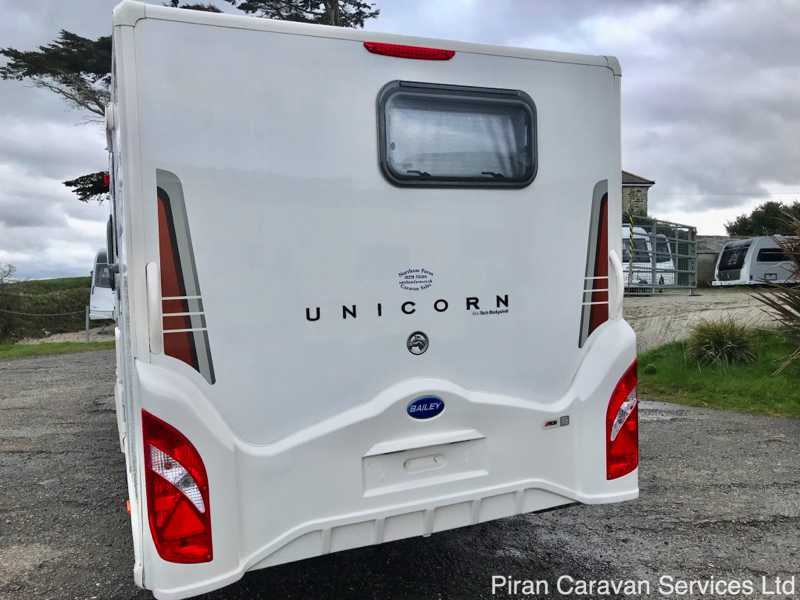 The Unicorn also has Grade III heating and thermal insulation, resulting in a caravan which can be used year round if desired. 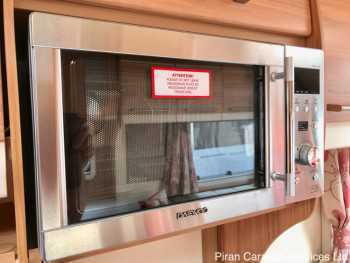 In addition, the exterior also features a newly designed centrally mounted easy-access gas locker, exterior 230v & gas BBQ points, a Status 550 directional television aerial, an external aerial point for portable satellite dish connection and external solar panel connection provision. 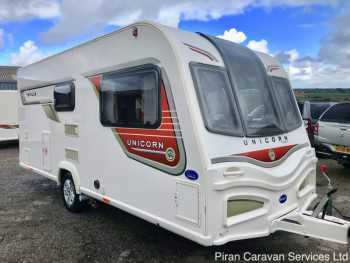 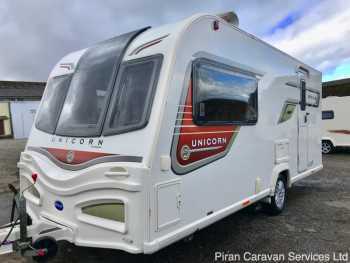 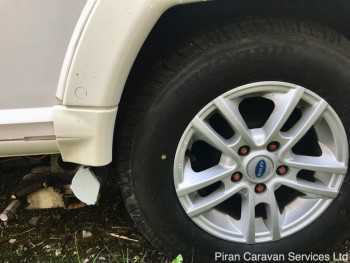 The graphics on the Unicorn were a brand new design, and really set off the Seville, resulting in a caravan which has a commending presence both on the road and when pitched. 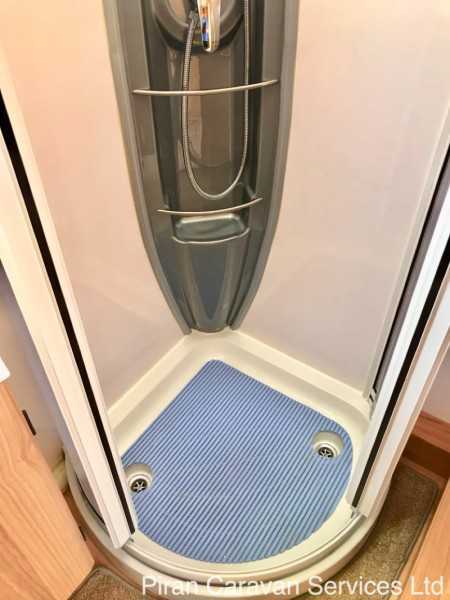 The Hartel two-part large aperture exterior door with window, blind and waste bin leads to an impressive and luxurious interior. 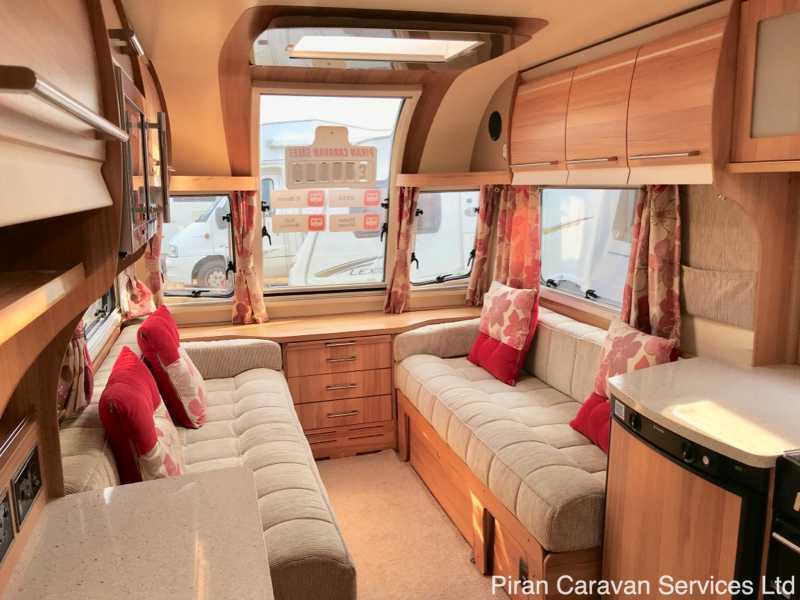 At the front of the caravan, polyplastic double glazed windows, combined with a double-glazed opening vertical skylight, provide a beautiful, panoramic view from the lounge which is spacious, light and airy. These windows, like those throughout the Seville, are fitted with Remis two-part pleated blinds and flyscreens. The Seville's layout does not compromise on space and the sprung bench seats, featuring storage below, will comfortably seat a large family for relaxing or for mealtimes, using the folding dining table provided. 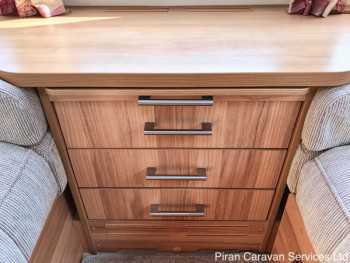 A recessed 3 drawer chest provides additional storage, complete with a pull out occasional coffee table. 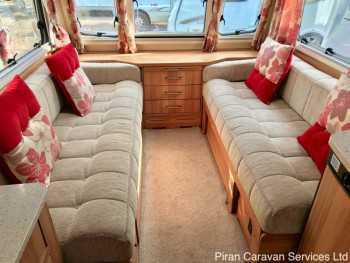 The seats convert into a large double bed, using the new Bailey 'slide out' mechanism. 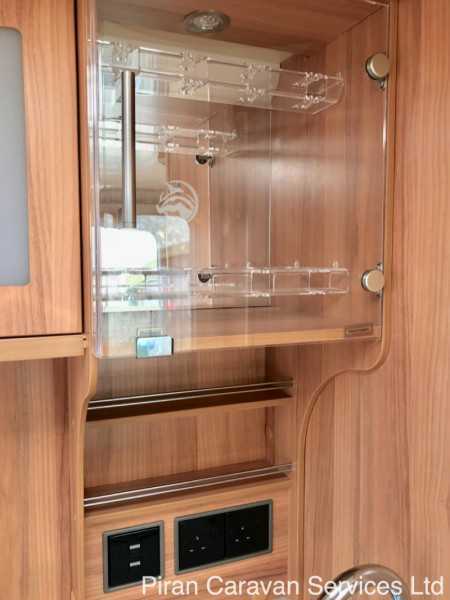 The overhead aircraft style lockers, in Italian-design dual finish, provide split-level storage and feature domestic style hinges and chrome handles. 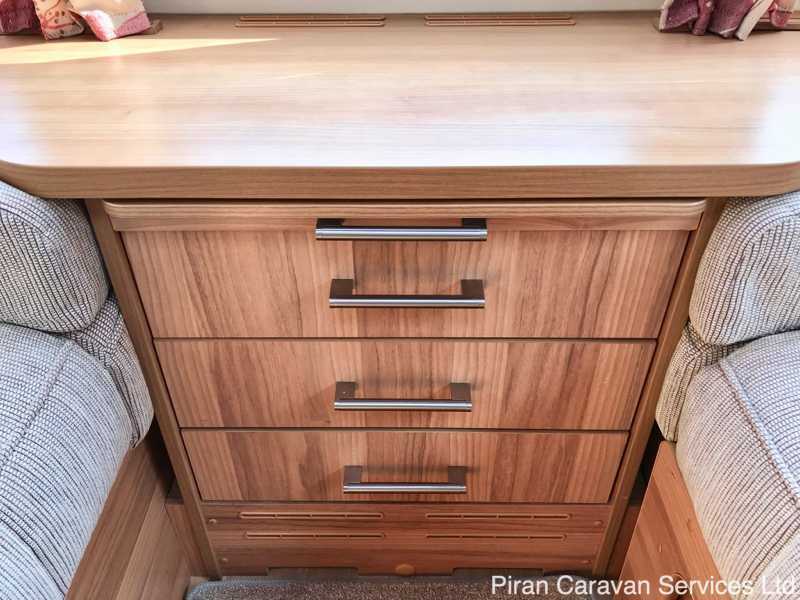 The locker doors, like all the furniture in the Seville, are finished in stunning Bailey 'Walnut' laminate, resulting in an appearance of real luxury throughout the caravan. 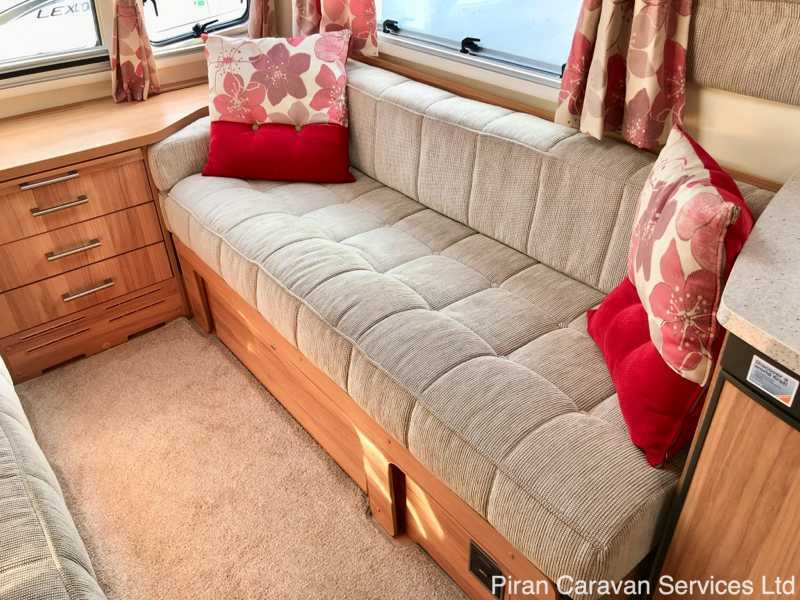 The upholstery features Bailey's very attractive and hardwearing 'Mozart' fabric, and is complemented by armrest cushions, scatter cushions, curtains and 45oz pile drop in carpets, which cover the wood-block effect flooring. 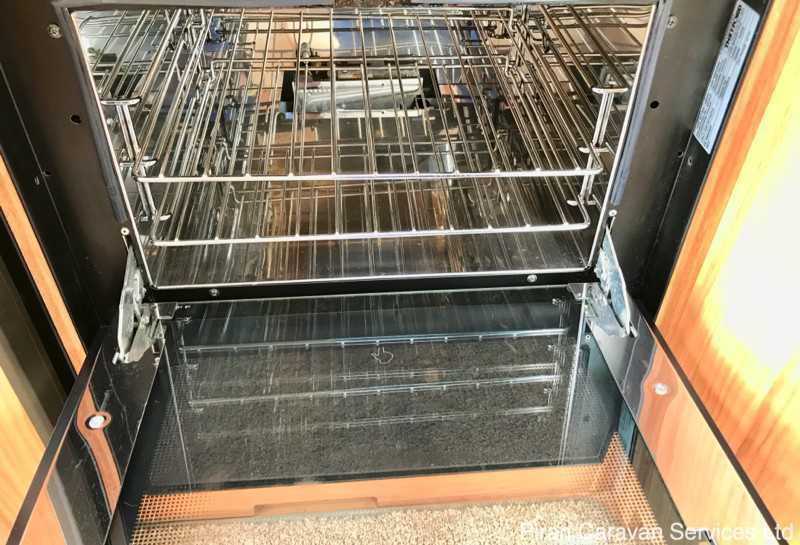 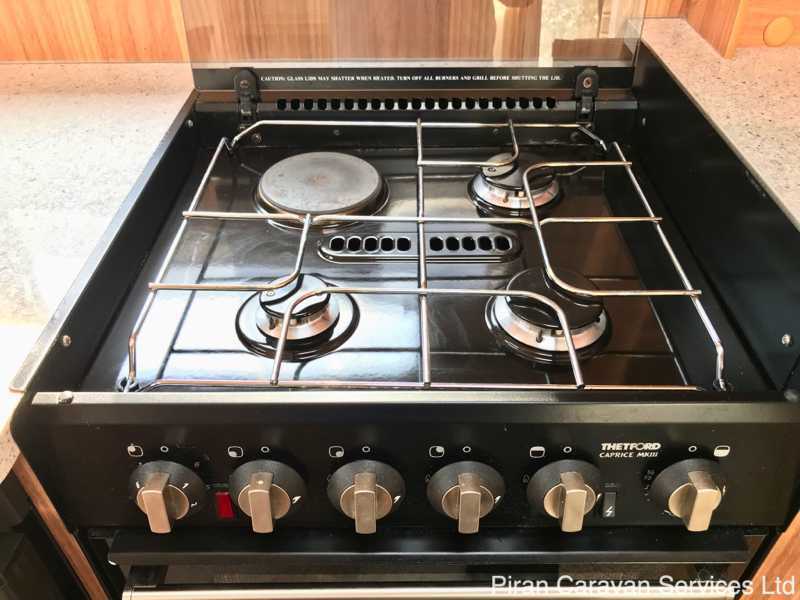 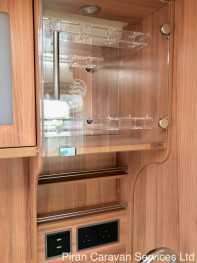 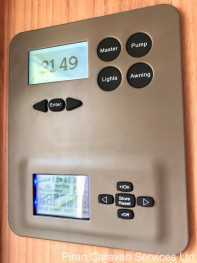 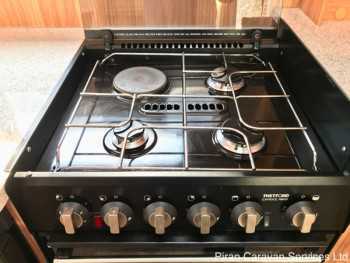 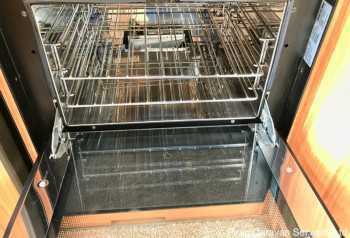 Moving back through the caravan, the superbly appointed kitchen features an impressive list of equipment including a Thetford "Caprice' combination oven, grill and hob with electronic ignition and flame failure safety device. 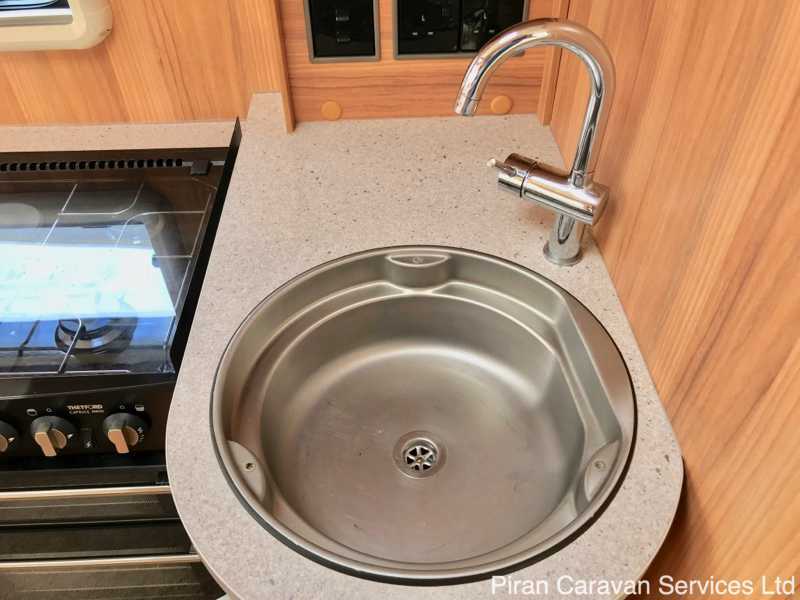 The hob is dual-fuel, featuring 3 gas burners and an electric hotplate. 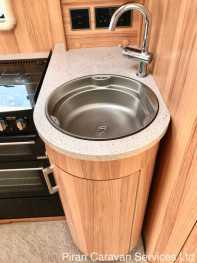 A new circular, stainless steel sink has a chrome swan neck mixer tap, circular washing up bowl, drainer and chopping board. There is also a large amount of ergonomic, split level storage finished in Bailey 'Walnut' and there is plenty of worktop space, finished in an attractive granite laminate. There is a full size refrigerator with detachable full width freezer compartment, providing efficient and ample cold food storage. 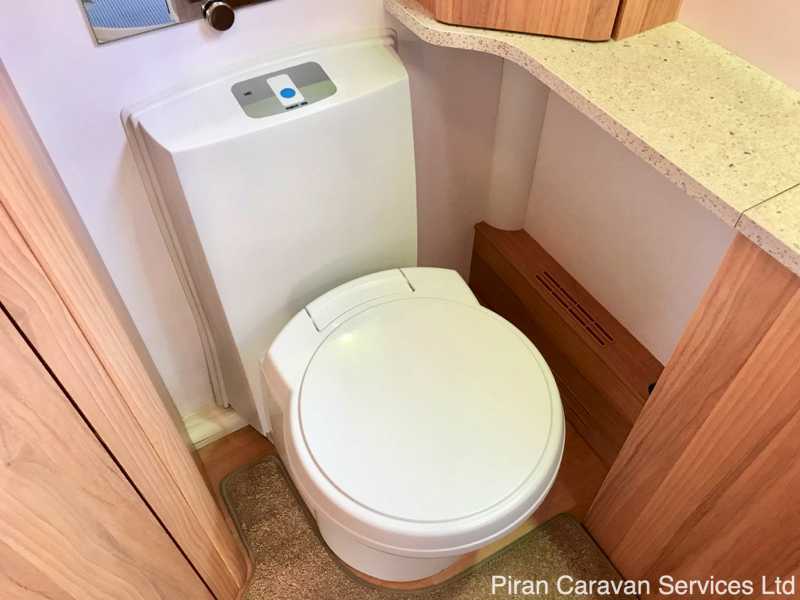 At the very rear of the caravan, a domestic-style door with metal handle leads to an impressive and spacious and washroom, featuring a new design Thetford C-260 swivel cassette toilet with electric flush. 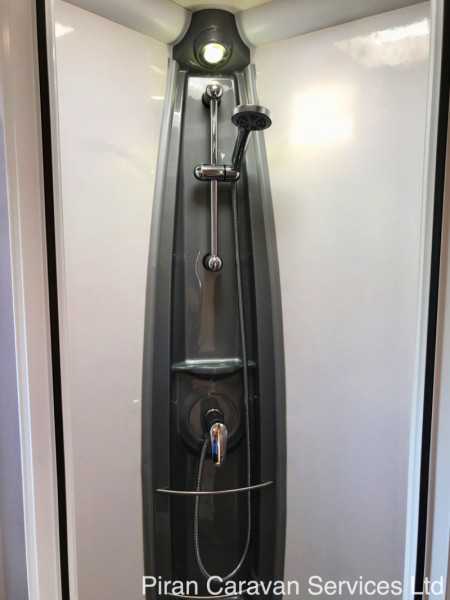 There is also a new inboard shower unit with ceramic ball mixer tap and Ecocamel shower head, set in a newly designed domestic style circular cubicle with curved partition door and integral storage pod. 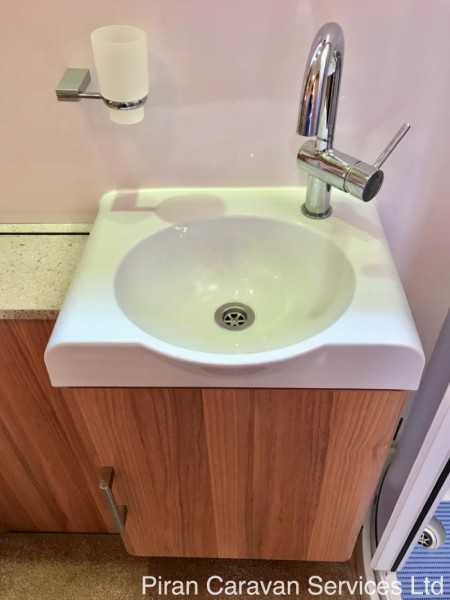 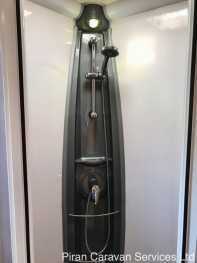 There is also a newly designed washroom hand basin with swan-neck mixer tap. 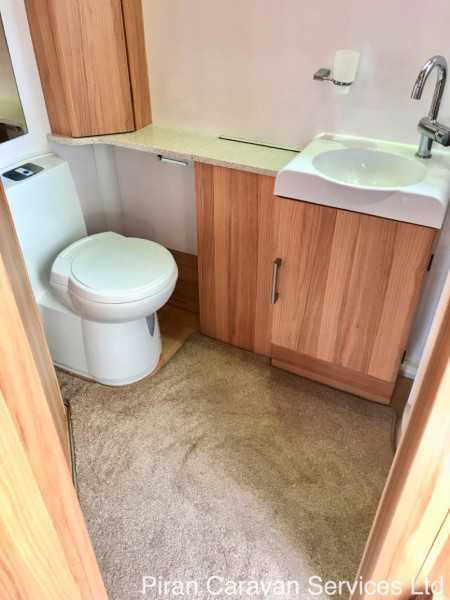 The washroom also has an Alde heated towel rail, enabling warm and dry towels in the caravan. 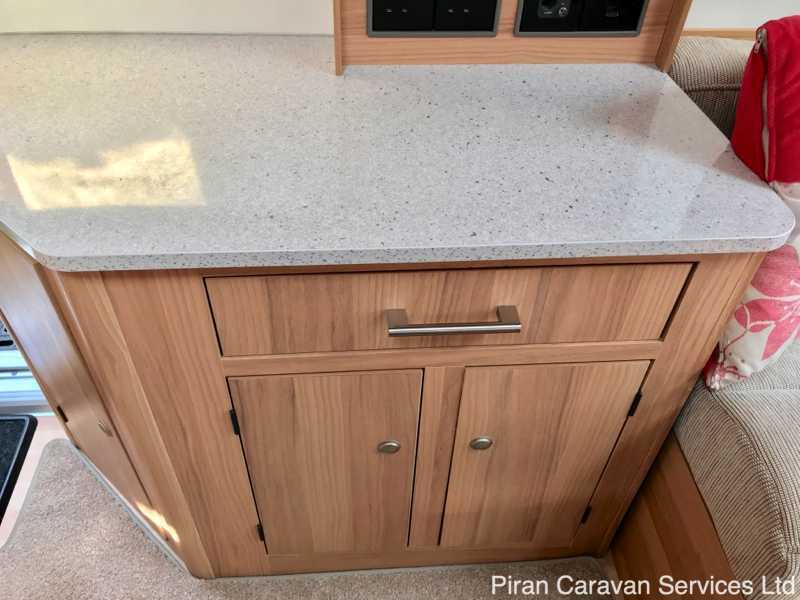 In addition to the impressive list of internal equipment, there is a Heki roof light located in the main habitation area, ensuring a light and airy feel to the whole interior and ensuring ventilation is available whenever it is required. 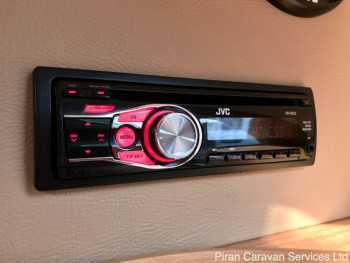 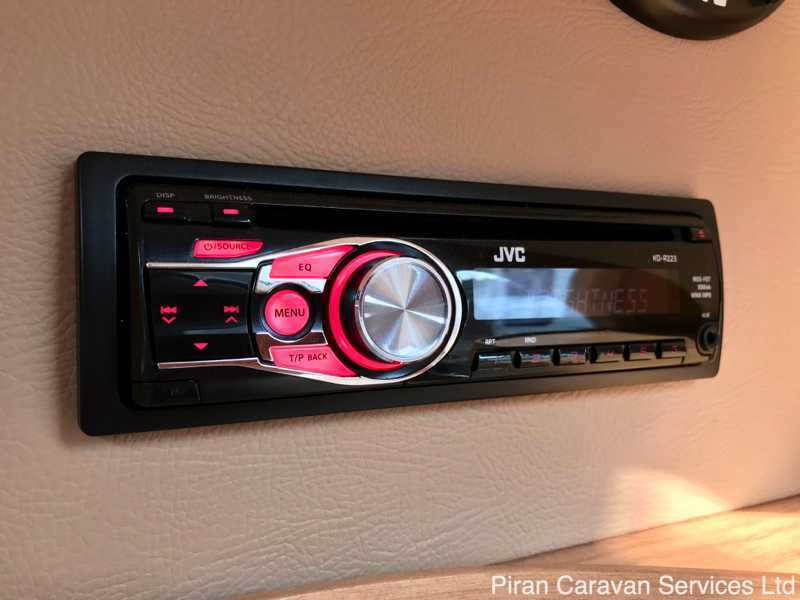 There is a branded Radio/CD/MP3 player with iPod/MP3 player connection point and branded dual cone stereo speakers. 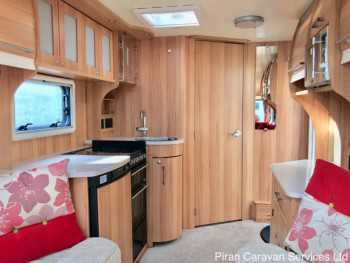 There are plenty of 230v interior sockets as well as a TV station with 230v, 12v and two aerial sockets. The lighting in the Unicorn Seville is a mixture of 12v ambient and task lighting, featuring spot lamps and led strip lights in the kitchen area, providing a well-lit and pleasant atmosphere at night time. For ease of use, there is a new design centrally located digital electrical control panel. 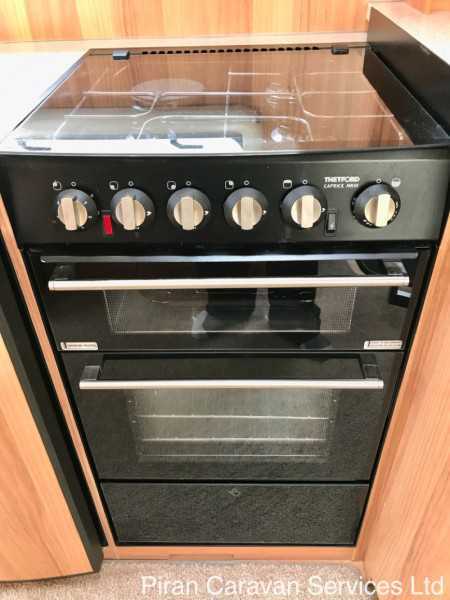 Heating is taken care of by the Alde Hydronic Compact 3010 programmable radiator heating system with combined water heating, which like a domestic system, allows complete control over the temperature inside the caravan, even allowing for the heating to come on and warm the caravan before you return from a day out! 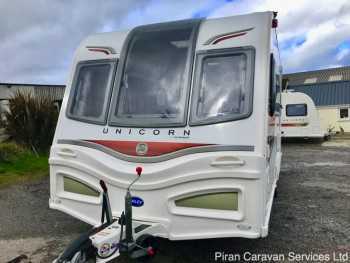 In summary, this is a beautiful example of Bailey's flagship 2 berth Unicorn Seville caravan with its spacious lounge and large washroom, with all the up to date equipment available, for sale at a fantastic price. 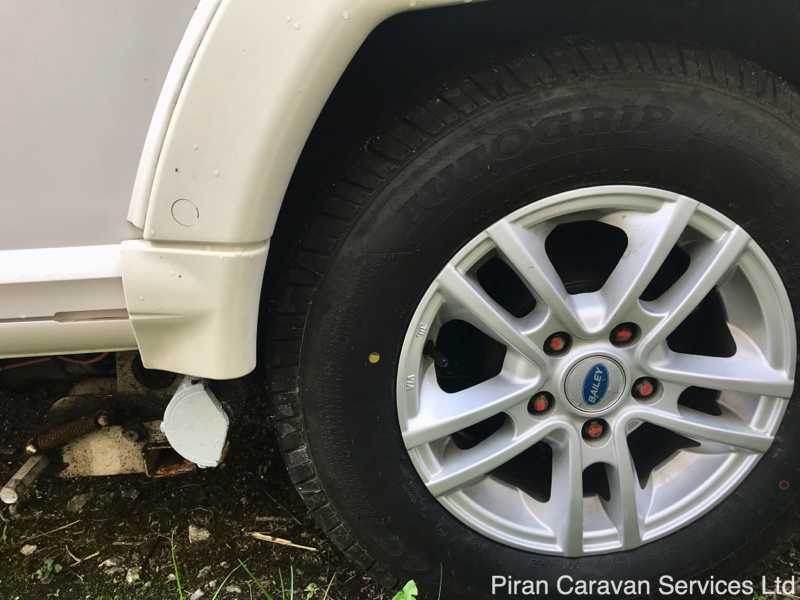 It comes fully serviced and damp checked by an approved workshop, has all the original owners manuals and even comes with a Dorema awning and more, making this caravan superb value for money. 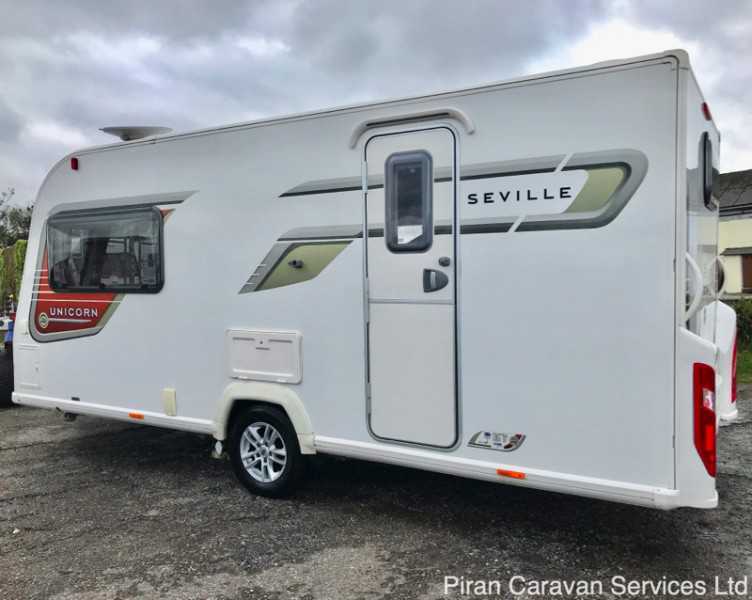 This caravan has a place within our otherwise full CaSSOA gold caravan storage facility (subject to availability please enquiry before purchasing).